If you are searching for a mantra to propel you toward your goals, Salva Dut has two simple words to offer: Keep Walking. Doing just that opened unexpected and life-changing possibilities for Salva beginning in his childhood. Salva was born into the Dinka Tribe in a rural village in southwestern Sudan. But, at age 11, Civil War forced him to flee on foot when his village was attacked by soldiers and death had reached his doorstep. Along with 20-thousand other boys who became famous as “The Lost Boys of Sudan, Salva walked, first, to a refugee camp in Ethiopia. 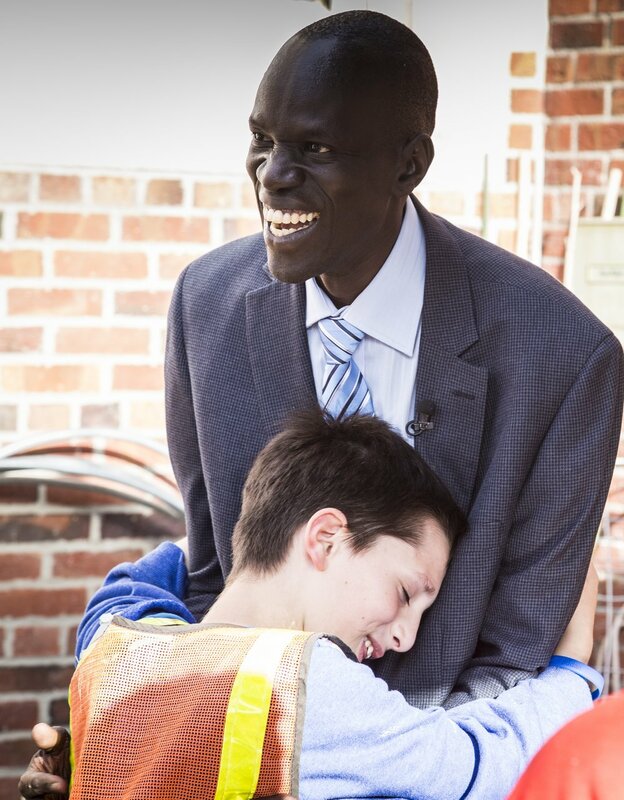 Four years later, as a teenager, he led 1500 of the boys on an 800-mile trek through the Southern Sudan desert to another refugee camp in Kenya. By the time they reached the Kakuma camp in Kenya, 500 of the boys had died. For six more years, Salva lived behind barbed wire with nearly 100,000 other war refugees. Then, in 1996, when he was 21, he got the news that would change his future. Salva, along with nearly 4,000 of the Lost Boys, would be brought to America under the auspices of the US State Department. It was a journey of 10-thousand miles into a promising but confusing new life. Fortunately, Salva was embraced by a warm and welcoming family in Rochester, New York. But five years after arriving in America, Salva received troubling news from a fellow refugee that would put him on the road again, not walking, but flying 10-thousand miles back to Sudan, where the civil war was still raging. What he saw there would chart his course for years to come. In January, 2002, Salva Dut arrived in Sudan to seek out a man he hadn’t seen for 16 years—his father. All that time, Salva thought his father had died in the war. Their reunion, he says, was emotional and wonderful. But his father was seriously ill, suffering from water-borne parasites and disease. Like so many rural villages, there was no clean water in his father’s village. Salva stayed by his father’s side until he recovered and could move to an area far away where clean water was available. But the harsh realities of life for the people of Sudan who had no access to clean, fresh water, profoundly affected Salva. 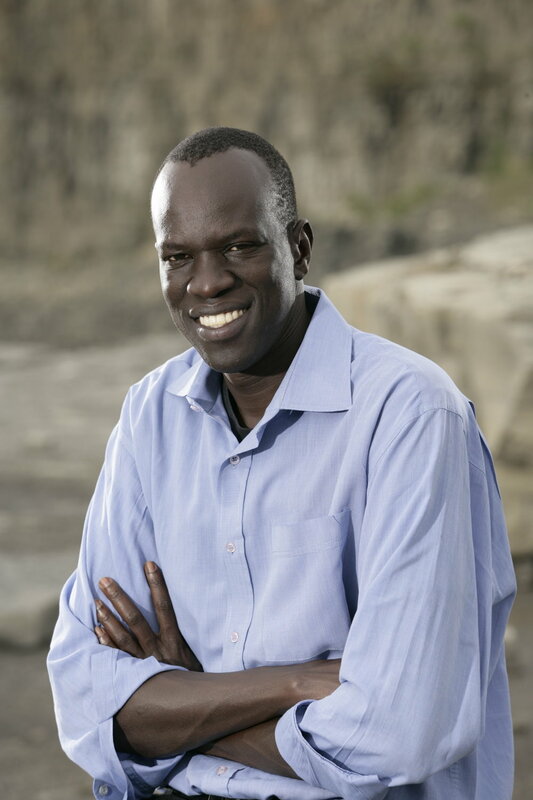 In 2003, determined to make a difference for the people of his birthplace, Salva joined with a small group of friends to found Water for South Sudan (WFSS) with a mission to raise funds to drill wells in his homeland. The first well was drilled in 2005 in Salva’s father’s village. Salva says the well alleviated some of the hardships of daily life in South Sudan, especially for women and girls who had to walk for hours each day to fetch enough water to survive. But it’s not just having clean water alone. Salva says there are other aspects that evolve around accessible water. Since drilling that first well, WFSS has opened more than 300 wells, affecting nearly half a million people. Villagers are taught how to maintain their well, where to obtain supplies if it breaks down, and given hygiene education. Salva says the idea is to give the community the tools to take care of itself. In 2011, the Southern Sudanese people voted to secede from the Republic of Sudan and the new Republic of South Sudan was born. Salva moved back to his homeland to oversee WFSS operations in Africa. “Africa has a lot of problems with extreme poverty, people struggling with medical care, starvation, lack of schools. Salva is also collaborating with a member of the Nuer Tribe, traditional enemies of the Dinkas, on a United Peace and Development Project, drilling wells together to try to end the cycle of intertribal revenge. Salva says he’s still walking, not literally, but figuratively, moving forward with his vision of changing the world, one step at a time. Salva has earned numerous awards for his work with WFSS, including Rotary International’s highest award, “Service Above Self,” in 2011. He is also a member of the Monroe Community College Alumni Hall of Fame.